At the course home page, select the “Edit” icon to customize your course page. After clicking the icon, a template of your course will appear and you will then be able to add content to your page. 1. When clicking on the “Edit” icon, a window as pictured above, will appear. 2. To add content to your course page, simply fill in whatever information you desire for each section. 3. 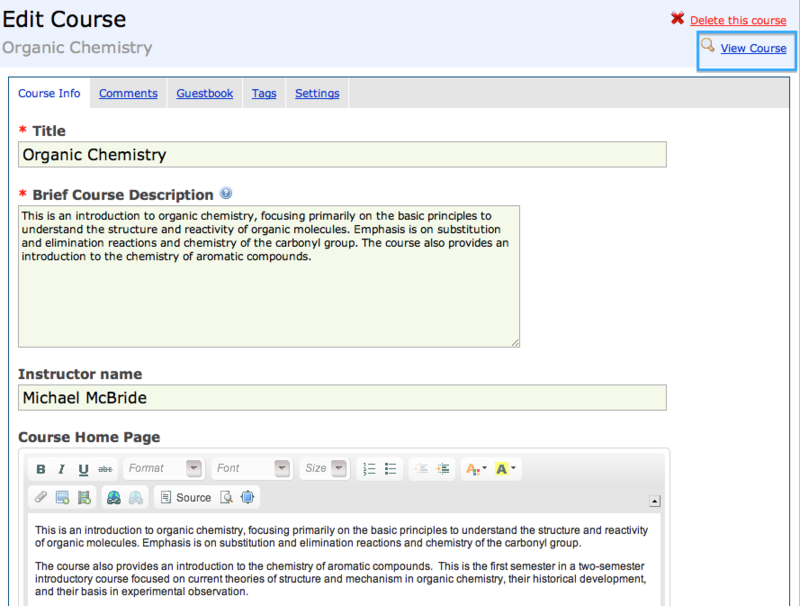 When you are done customizing your course page, click on the “View Course” icon to see a full layout.